"Failure is normal. It's healthy. 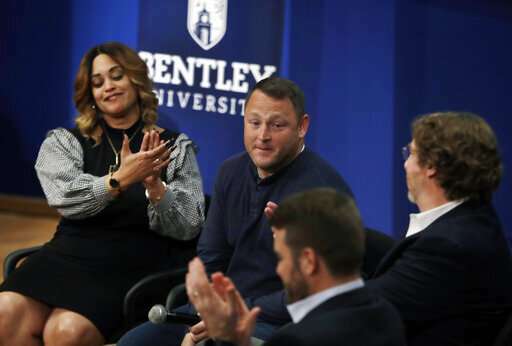 And I think people on this panel would argue it actually is transformative," Peter Forkner, director of Bentley's counseling center, told students. "If you're not failing, it probably means that you're not taking enough risks." 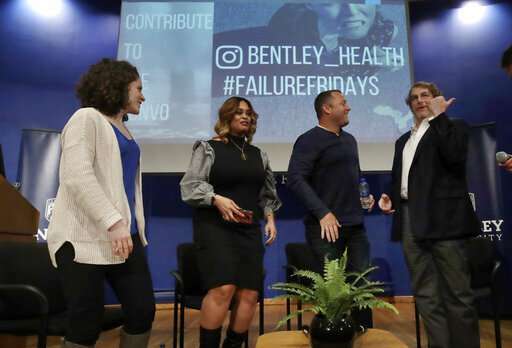 Bentley, a private business school near Boston, joins a growing number of U.S. colleges trying to ease students' anxieties around failure and teach them to cope with it. On many campuses, it's meant to combat climbing rates of stress, depression and other problems that have been blamed on reduced resilience or grit among younger generations. 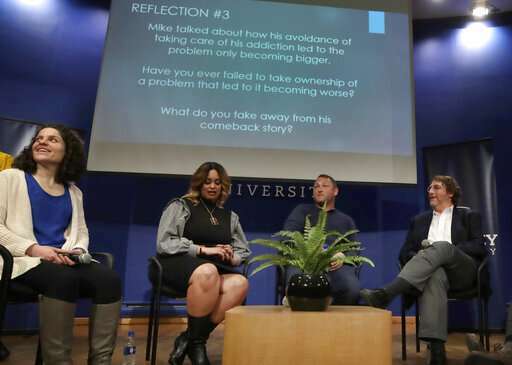 Across the country, campus mental health officials report today's students appear to have a harder time bouncing back from adversity. Counseling centers have seen surging demand, often from students overwhelmed by everyday stresses. Professors have raised concerns about students' fragility when it comes to receiving bad grades. "Anxiety is rising like crazy," said Nance Roy, a psychologist who works with colleges through the Jed Foundation, a nonprofit mental health group. "For many students, it's the first time they're navigating independently away from home, and if they also don't have basic life skills, it's sort of a perfect storm." The University of California, Los Angeles, offers "grit coaching ." The University of Minnesota recently hosted a "resilience resource fair ." Dozens of schools now provide "Adulting 101 " workshops covering topics from finance to romance. Stanford University encourages its students to celebrate their failures through song, poetry and other creative outlets at an annual event called "Stanford, I Screwed Up! " Smith College in Massachusetts and the University of Central Arkansas have both issued students "certificates of failure " as part of broader programs on the topic. Colorado State University invites students to take a pledge to embrace failure and persist through it. When it comes to grades, Cornell College in Iowa is warning professors that they shouldn't soften their scoring for the sake of students' emotions. A directive on the issue notes that "a grade of a C or below is not the end of the world." "Normalize failure. It's part of life. It's one way we learn," the message says. "Sometimes students need to fail, and not be given an undeserved grade by a sympathetic faculty member." Experts propose a variety of theories to explain why today's students might be struggling. Some say the pressure to succeed is stronger than ever, making even small failures seem disastrous. Some say social media floods students with images of perfection that make them feel bad about their own lives. Others blame parents who tightly manage their children's lives and shield them from failure—a tendency taken to the extreme in the college admissions bribery scandal , in which dozens of parents were charged last month with paying bribes to help their children get into top schools. Efforts to tackle campus mental health have sometimes been met by sneers. On social media, some observers mock a generation of fragile "snowflakes" who need "safe spaces" and "trigger warnings." 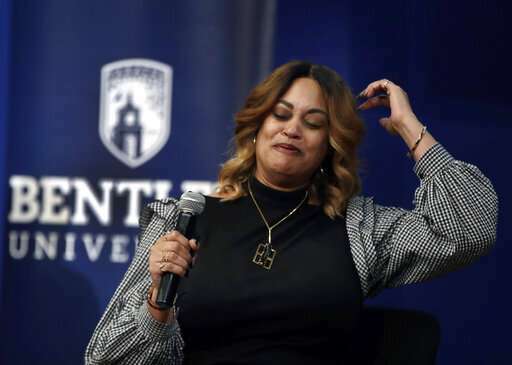 But mental health advocates counter that today's students are grappling with a host of pressures that past generations didn't, from social media to the threat of school violence. "There's this temptation to judge or criticize today's youth," said Laura Horne, program director at Active Minds, a college mental health group. "They're just responding to a different and more challenging landscape with the resources we've given them." 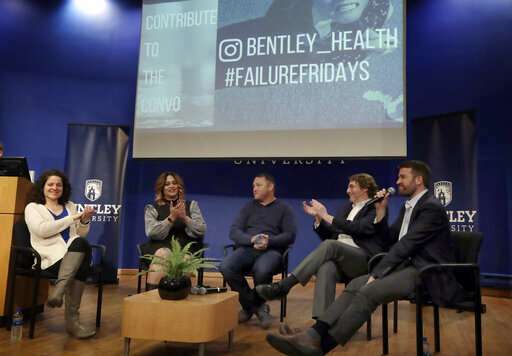 At Bentley, along with hosting events on failure, officials have launched a "Failure Friday" series on social media that shares a different story of failure from someone on campus each week. Lea Guldemond, a junior who attended the event on professors' failures, said she welcomes the conversations about anxiety and struggle. Especially at a business school, she said, students face constant stress to compete for the best grades, the best internships and the best jobs. "We're under a lot of pressure and I think we're stressed all the time," said Guldemond, 21, of West Newbury, Massachusetts. "It's nice to be able to talk about it and know that you're not alone when you fail. Everyone deals with it."